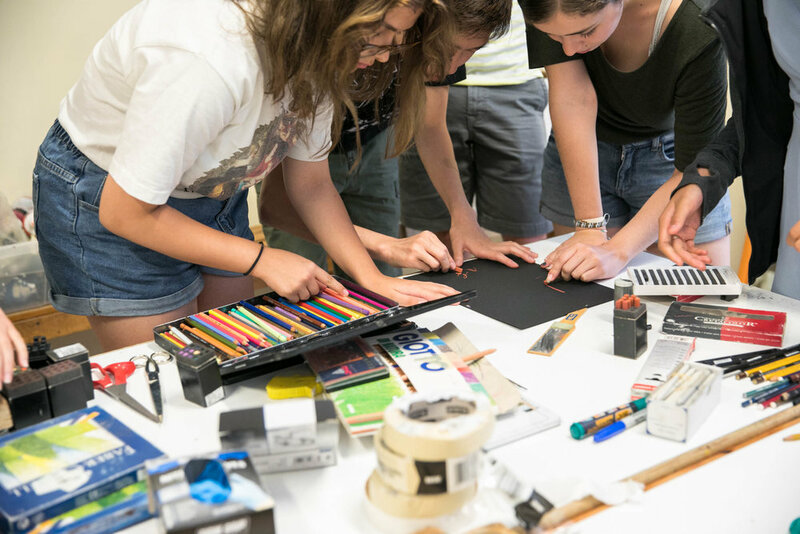 Visual Arts Students explore the philosophical, conceptual, and technical elements of art through hands-on intensive studio classes, art history, and field trips. Courses include instruction and practice in drawing, painting, and two-dimensional design. The many aspects of the course are further illustrated with visits to, and explorations of works of art found throughout the town and the region. 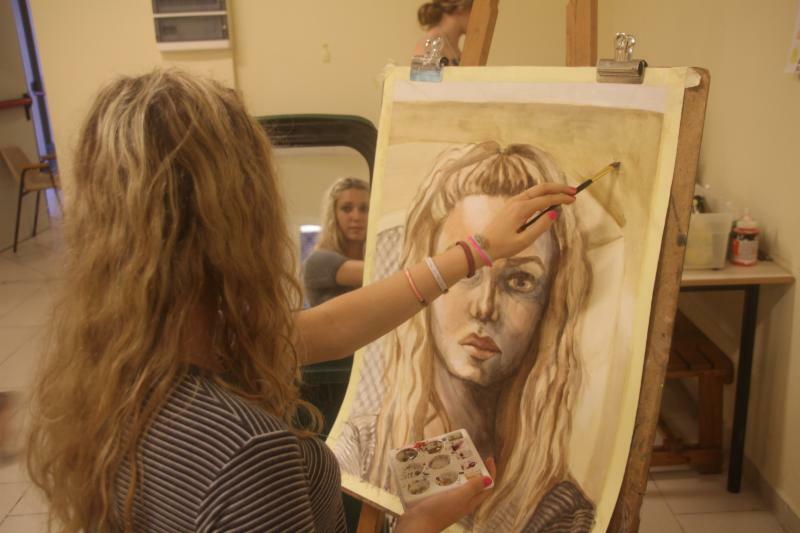 The Visual Arts program is individually geared toward each individual art student. A dialogue between student and faculty about the student’s past work and current goals is used to format the student’s own curriculum. The class concentrates, for logistical purposes, on two-dimensional work. During the session, many different media are available to the student; these include but are not limited to: graphite pencil, color pencil, pen and ink, charcoal, watercolor, paint, and oil stick. 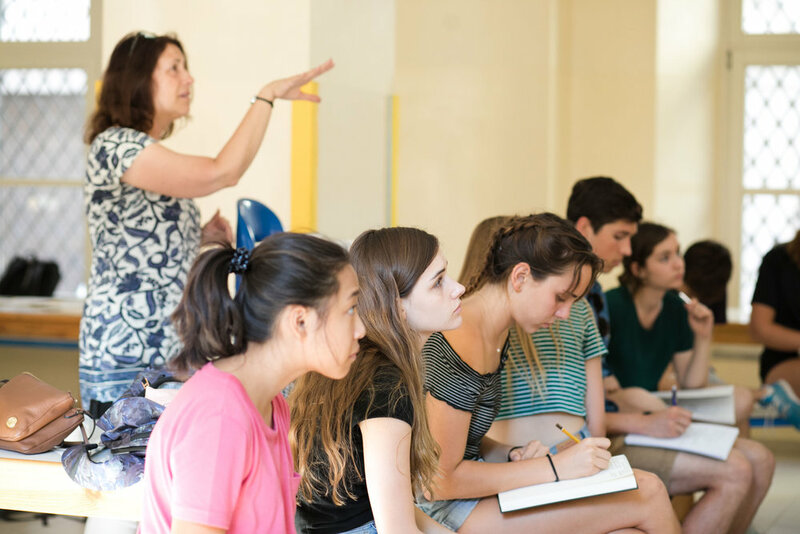 Students create both in the art studio and, of course, throughout the inspiring medieval town of Spoleto with its rich textures and varied compositions. Students are encouraged to take risks, to experiment with new media, and to incorporate new subject matter in order to develop a stronger portfolio. Final projects are exhibited in an art show.